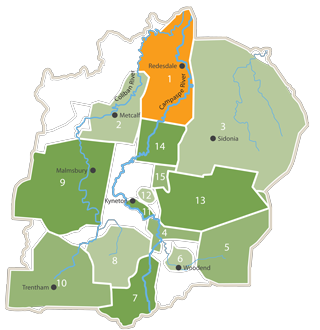 Malmsbury crosses Macedon Ranges, Hepburn and Mt Alexander Shires; 75% of members live locally and 80% have smaller lifestyle properties. 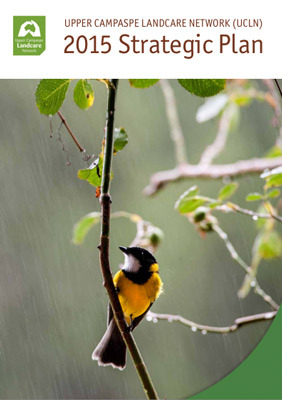 The group produces a bi-monthly newsletter and hosts annual public meetings on topics of natural history. 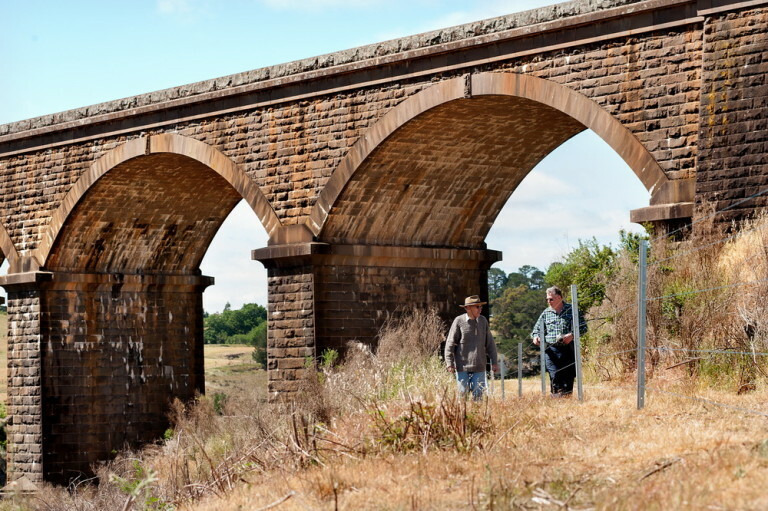 Current projects include the revitalisation of the Malmsbury Channel Reserve which drains into the Coliban River and gorse control on the river’s tributary in the Kangaroo Creek valley. Ongoing woody weed control and revegetation is also carried out on the Malmsbury Common, also bordering the Coliban River. Over 18,000 indigenous trees and shrubs have been grown and planted on members properties since 2009 with additional plants going into plantings in the vicinity of Malmsbury–Metcalfe Road, the Friends of Malmsbury Botanic Gardens arboretum and local primary school planting projects. Field days and excursions to see projects or items of educational or environmental interest have also been popular and are frequently conducted in conjunction with neighbouring Landcare groups. The group also conducts regular activities under the Clean Up Australia banner, tackling local features such as the Lauriston NCR and the Drummond Avenue of Honour. Flora and fungi species lists have been prepared for local reserves and the group has produced a kit to aid the identification of introduced needle grasses and works in conjunction with Hepburn Shire to control local outbreaks of Pattersons Curse. 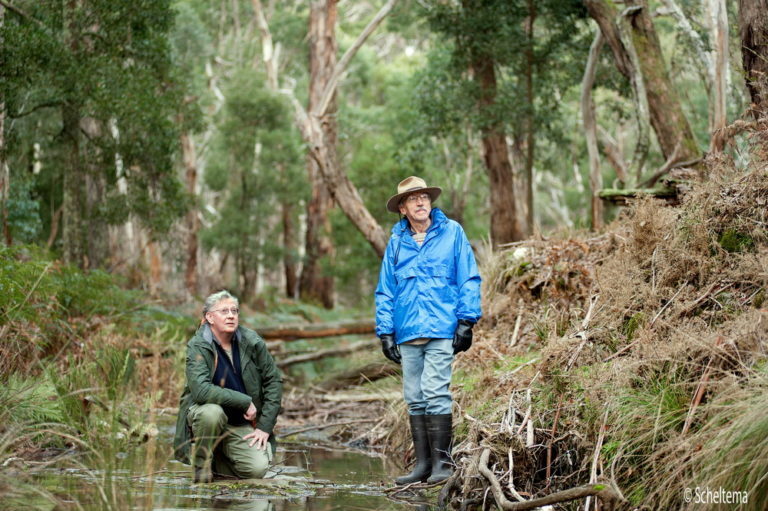 John Walter and Rob Burdett at Kangaroo Creek, a site where Malmsbury District Landcare has conducted extensive gorse control.”It’s a travesty to have this beautiful forest invaded by a rampant weed.It’s displacing native plants which degrades the biodiversity that has existed here for thousands of years.”said Rob.